5865 – SVG Lighting gets y component of normals the wrong way round with some images. Bug 5865: SVG Lighting gets y component of normals the wrong way round with some images. Bug 5865 - SVG Lighting gets y component of normals the wrong way round with some images. 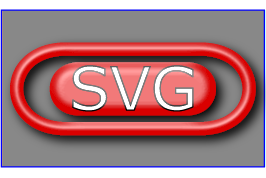 Summary: SVG Lighting gets y component of normals the wrong way round with some images. come from below, rather than from above, as it should. It's not clear to me that the lighting "comes from below" as you suggest. Please add additional information to this bug (preferably as a test case). You can see that there is a significant difference in the highlights -- in the svg the highlight is towards the bottom of the rendered image. In the png it is towards the top. There are some not insignificant differences in the overall colour of the rendered image, but i'm currently attributing these to a combination of colour matching and a slightly incorrect gaussian blur. Marking this as a P4 as this is not a very user-visable issue. This is long invalid. We don't even have the CI based filters anymore.